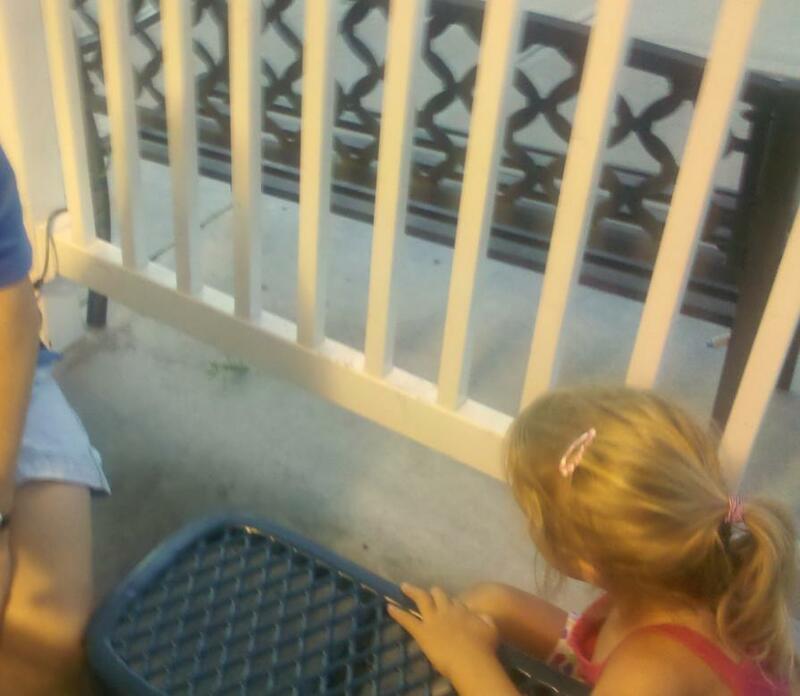 We sat outside in the heat, enjoying ice cream. 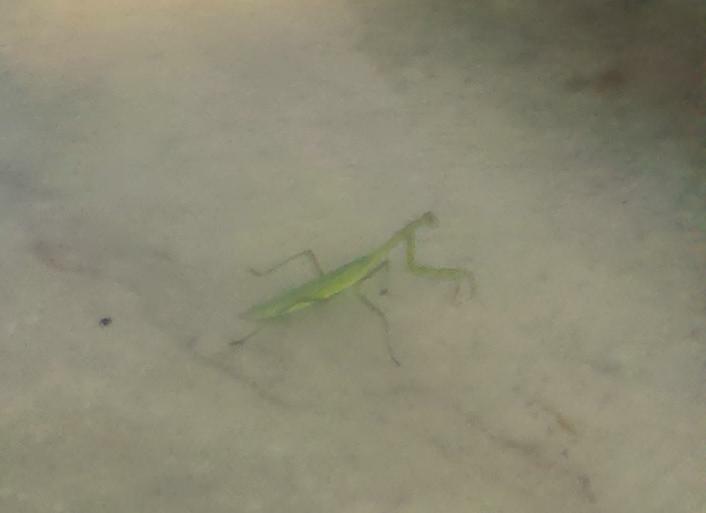 I watched this praying mantis leave a garden, cross two lanes of traffic, hop up on the sidewalk and continue past our table. 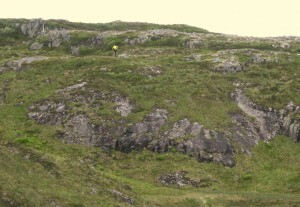 The crowd parted, and it kept going. There must have been a big praying mantis party out behind the Dairy Queen. Either that or she’s a regular customer. 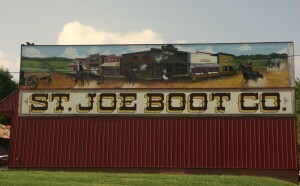 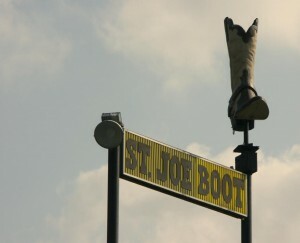 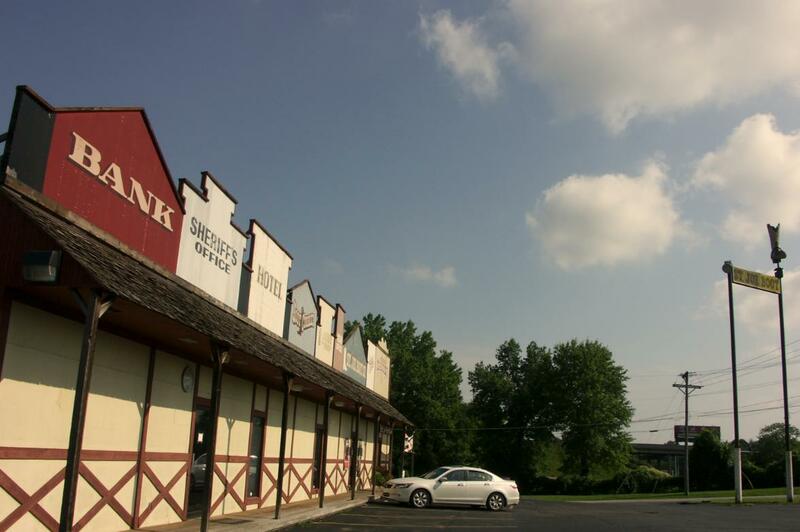 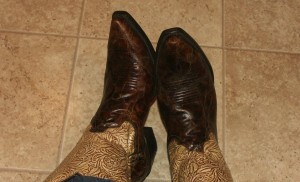 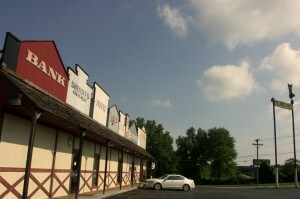 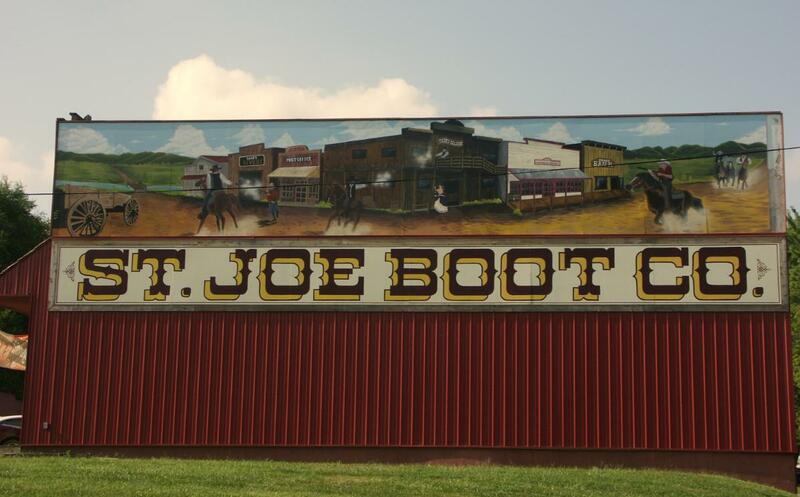 I stopped in at St. Joe Boot Co. and got some fine boots.